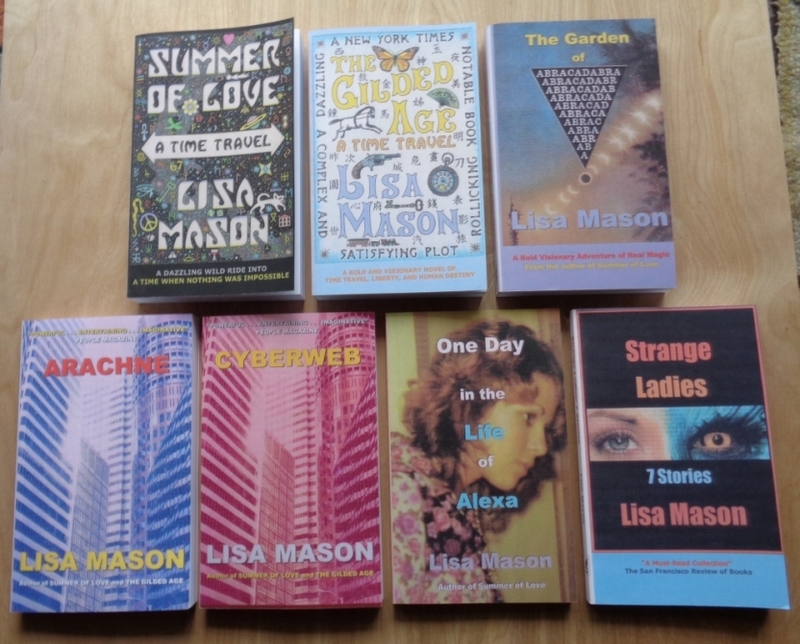 We’re a digital publisher working closely with Lisa Mason, with her backlist, and with her exciting new books, stories, and series. New, New, New! As of 2017, we were able to bring most of Lisa Mason's backlist into print! New funding made this possible. Now in Print: Summer of Love, The Gilded Age, The Garden of Abracadabra, Arachne, Cyberweb, One Day in the Live of Alexa , and Strange Ladies: 7 Stories. Please click on each title for ordering information the very reasonably priced print books on Amazon.com and Barnes and Noble.com, as well as the ebooks. Link your bank account or credit card, then follow the instructions on how to transfer a payment. $ 50.00 for the trade paperback. $ 40.00 for the trade paperback. $ 30.00 for the trade paperback. We’re also proud to ride the exciting new ebook revolution and to bring Lisa Mason's previously published titles and newly published titles to a new audience. The new ereaders are taking the pleasures of book reading to a new and convenient high-tech level. People who read books and newspapers when they commute to work, travel for business, go on vacation, or simply go out to a café are quickly finding ereaders indispensable. Try the various devices supported by Kindle, Nook, Apple, Kobo, and Smashwords. 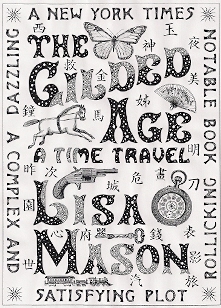 In the Dark Ages (before 2012), before the ereaders offered color, we asked Tom Robinson, our cover artist and the renowned San Francisco artist and jeweler, to create covers for Lisa’s two time travels that would look good in black and white on an ereader. Since the retailers now paste our color covers into your ebook, these black-and-white covers have become history in the world of ebooks—something rare! 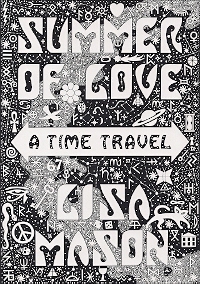 Here, exclusively, is the special black-and-white cover for Summer of Love, designed to look like a psychedelic poster. You can really see that Milky Way in the background! And here is the special black-and-white cover for The Gilded Age. We love how Tom continued the Milky Way star theme in the letters. This was designed to look like an 1890s billboard.